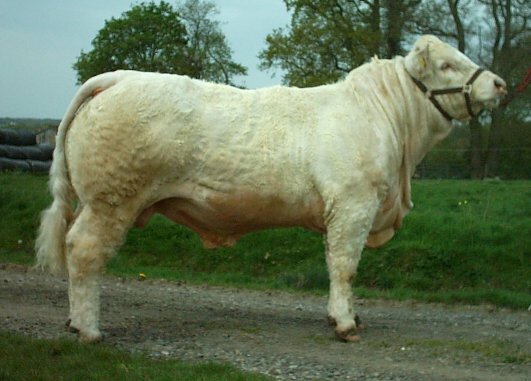 Due to this strong off farm interest there are no sons of Cruiser left from his first crop to be offered at sales this year, and the next oldest on the farm are born May 2010. 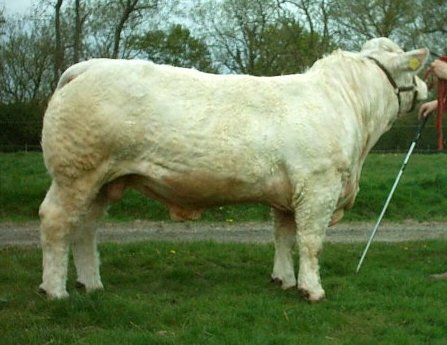 Update November 2010 - the first of Cruiserweight's 2010 born sons has now been sold to young breeders Matt Reece and Cat Gould from Shropshire for their new pedigree herd. 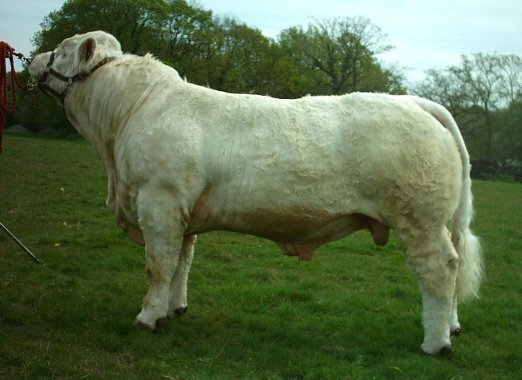 Update January 2012 - Cruiserweight sons continue to prove very popular off farm. 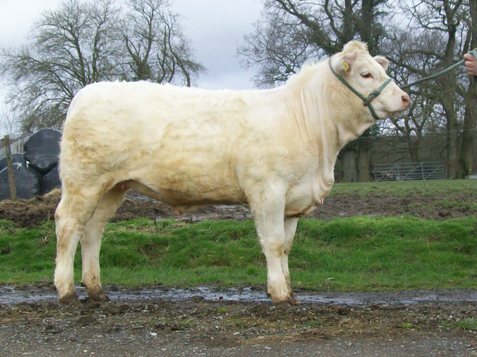 The lastest to head to a pedigree herd is bull calf Rumsden Genome, a son of Cruiserweight and first calved heifer Dice, a Solitaire daughter. 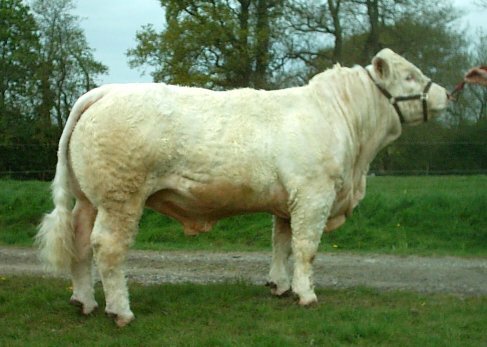 We now have just 3 young bulls left by Cruiserweight, and still none has been at Rumsden to be old enough for a bull sale! 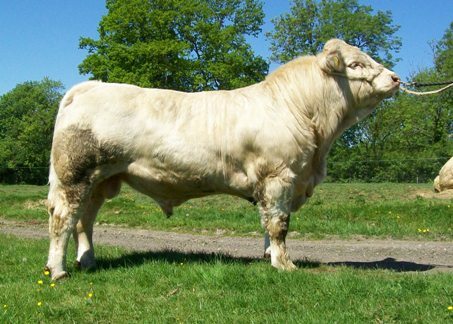 However, three are being held back for Carlisle in May 2012, to tie up with our Dispersal. 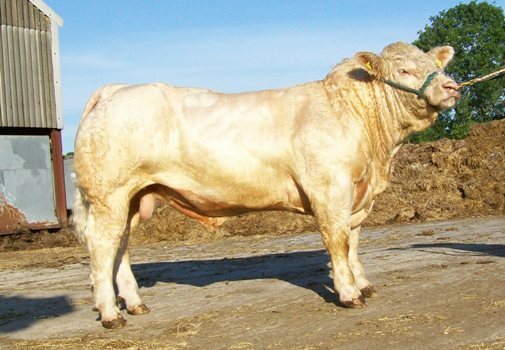 These are Firstmate, a Nov 10 son of Solitaire with a calving value of +11.4, Fanta a December 10 son of Uulala (of the same family as Samurai and Tsar) and Gromit (jan 11) Delta's first calf. 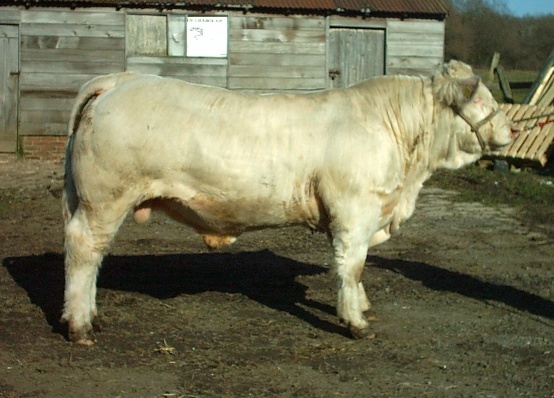 Titania (Tattie) was shown and was placed at the Royal Show in 2004. 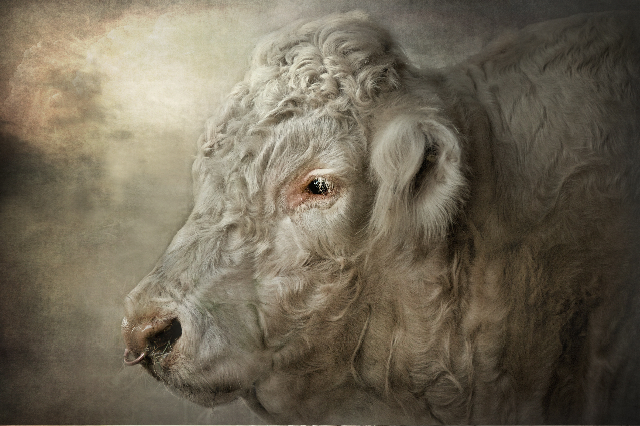 She is a granddaughter of Shoyswell Blossom, and great grandaughter of Lindridge Trixie who both produced 13 registered progeny and Trixie a maternal granddaughter of one of the foundation cows in the british charolais herd book, Coat Iris, who produced 32 registered progeny! 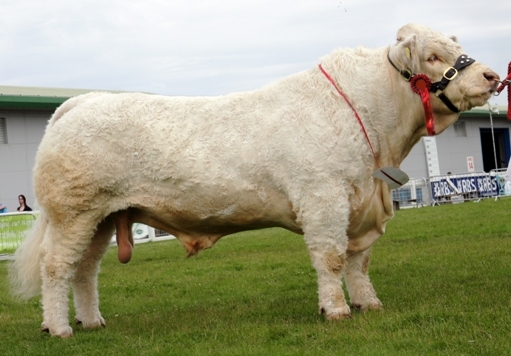 Cruiserweight has been retained as Herd Sire at Rumsden and is breeding well. 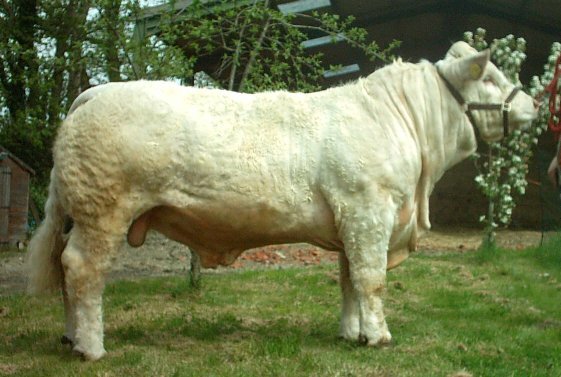 His first son has been sold privately as a pedigree herd sire. 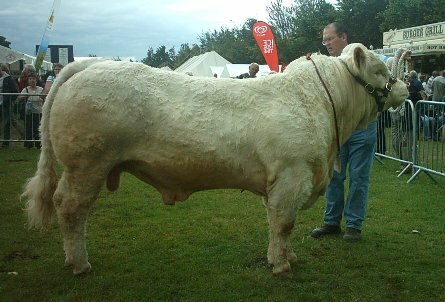 Heathfield Show: 1st, Male Champion, Reserve breed Champion, Interbreed Male Champion, Reserve Supreme Interbreed. 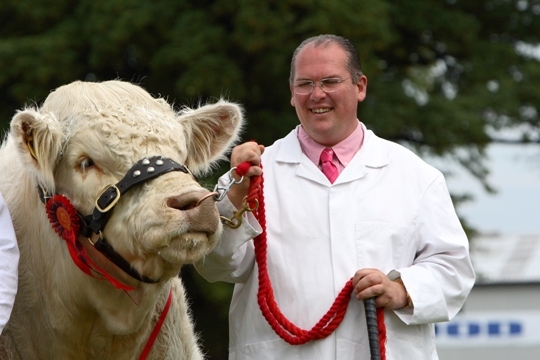 South of England Show: 1st, Male Champion, Reserve Breed Champion. 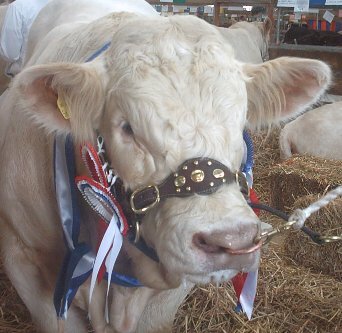 Kent Show: 1st, Male Champion, Breed Champion, Interbreed Male Champion, Reserve Supreme Interbreed.